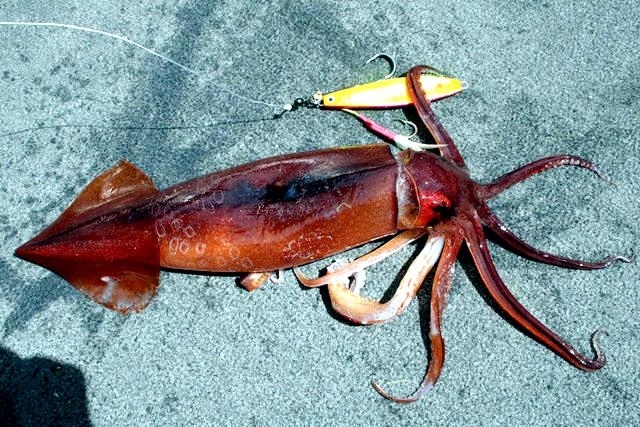 The Arrow Squid can grow up to about 7 feet and can weigh as much as 100 pounds. 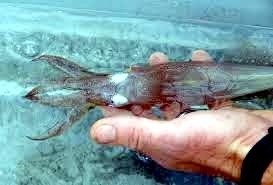 They have 8 arms and a torpedo shaped mantle. 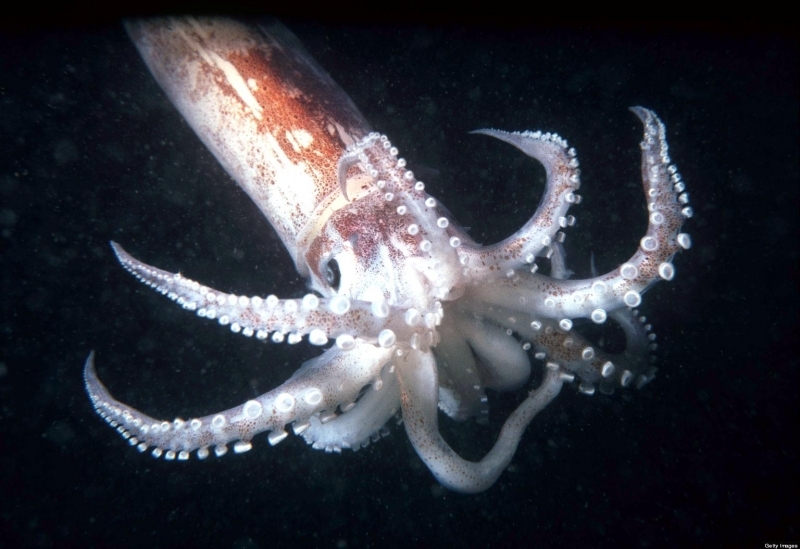 The suction cups are on the back of the tentacles. 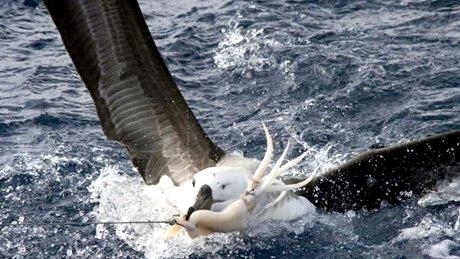 They are used for catching prey. 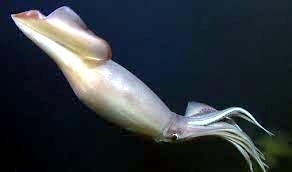 The head makes up about two thirds of the body. 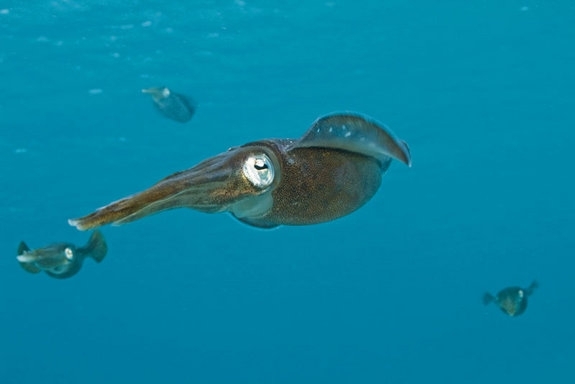 On the head there are 2 fins, these are not the main method of mobility. 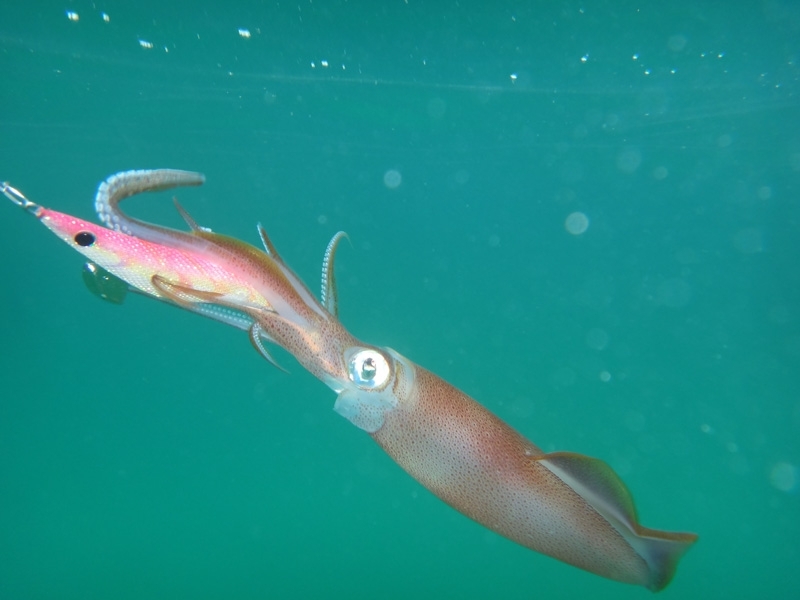 The Arrow Squid will use a siphon to bring water in one side and push it out of the other. 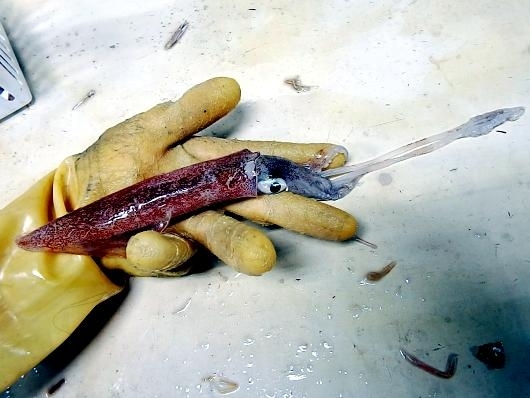 The Arrow Squid’s mouth can be found in between the arms. 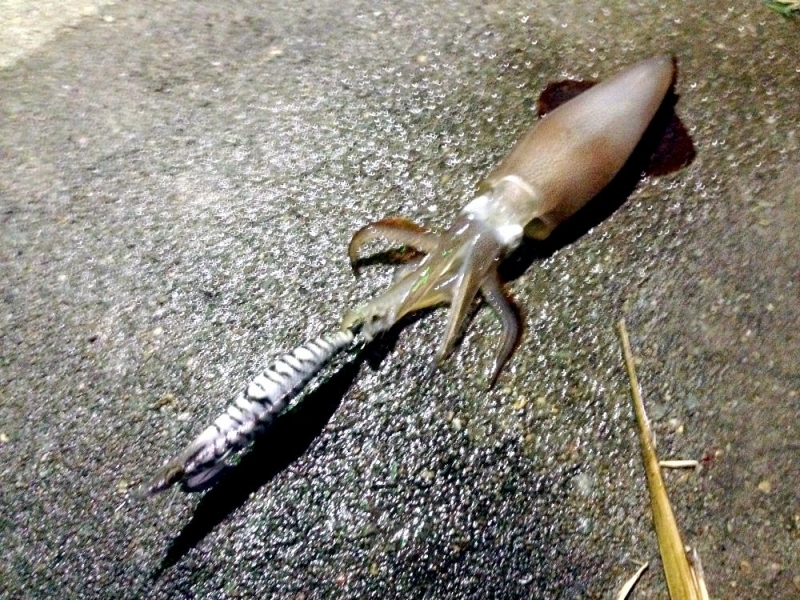 Arrow Squids like most squids, have 3 chambered hearts. 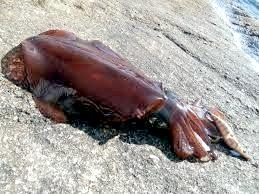 The reproduction process of a Arrow Squid is sexual. 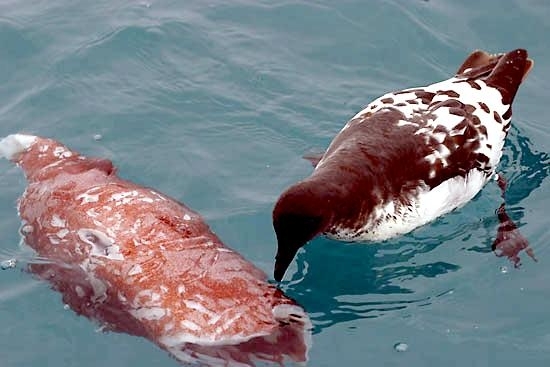 They have a mating ritual that can be behavioral, physical & morphological. 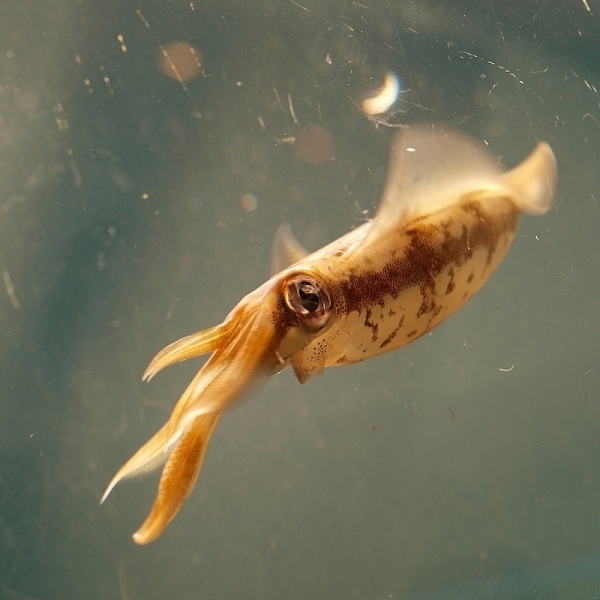 The Arrow Squids usually are up turned when mating with the female. 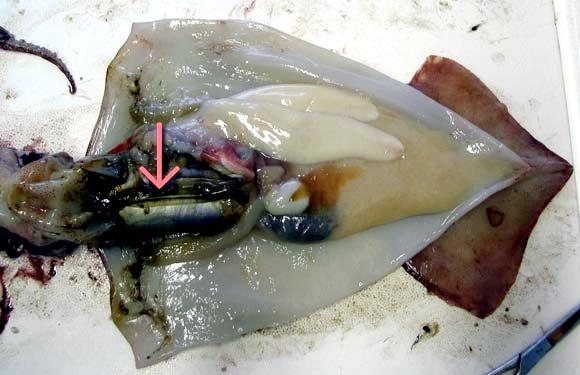 Spermatophores are usually found in the buccal cavities of the females, but sometimes the females are found with spermatophores affixed to the head, arms or dorsal mantle. 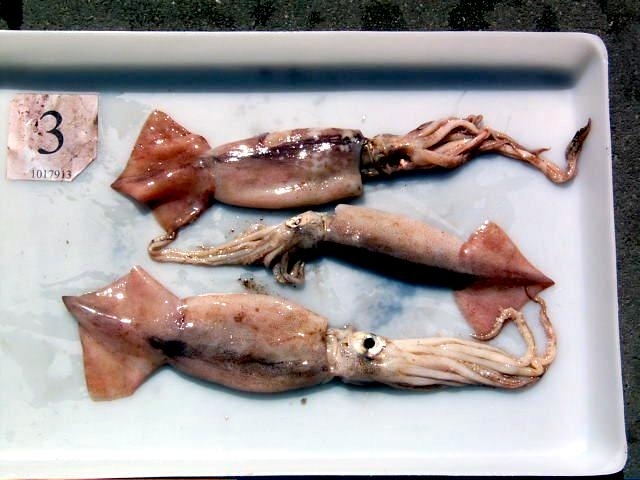 Found in Southern Australian waters from N.S.W. 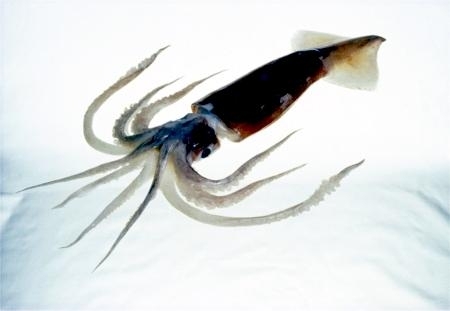 around to Western Australia and around New Zealand, Arrow Squid are distinguished by parallel wing flaps at one end shaped like an arrow and their white & rusty brown appearance. 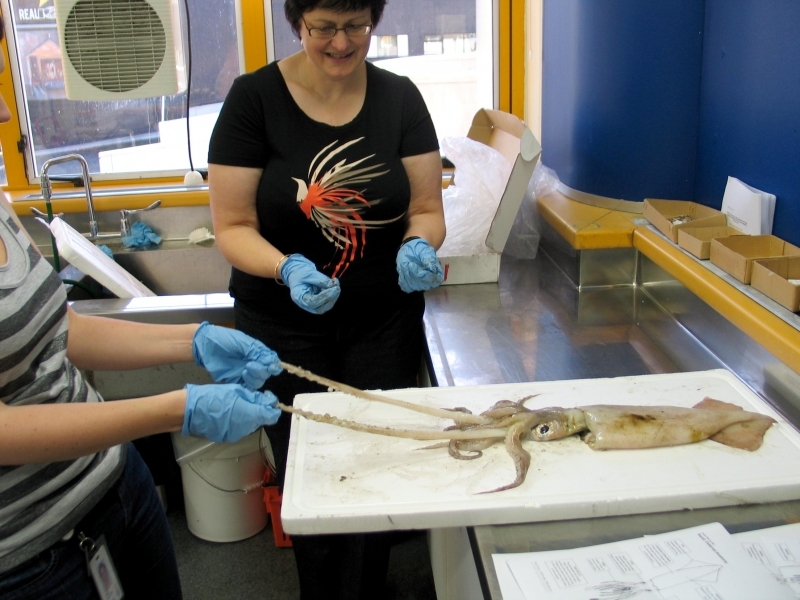 Other common names include Gould’s Squid, Aeroplane Squid, Aero Squid, Seine-boat Squid and Torpedo Squid. 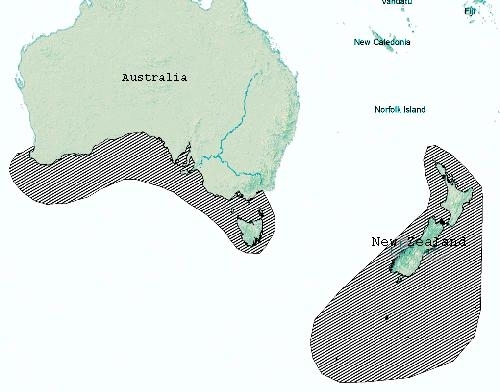 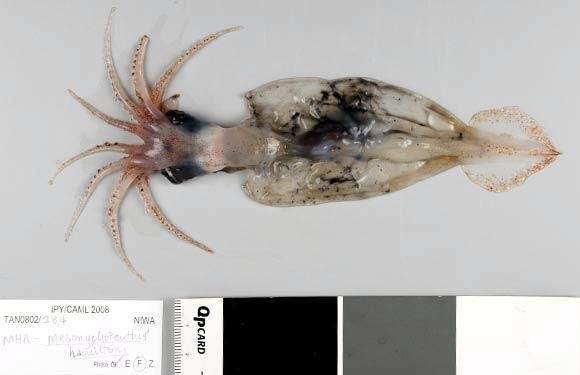 Arrow Squid inhabit waters from estuaries to ocean depths of about 500 meters, although they have been caught in depths as great as 825 meters in the Great Australian Bight. 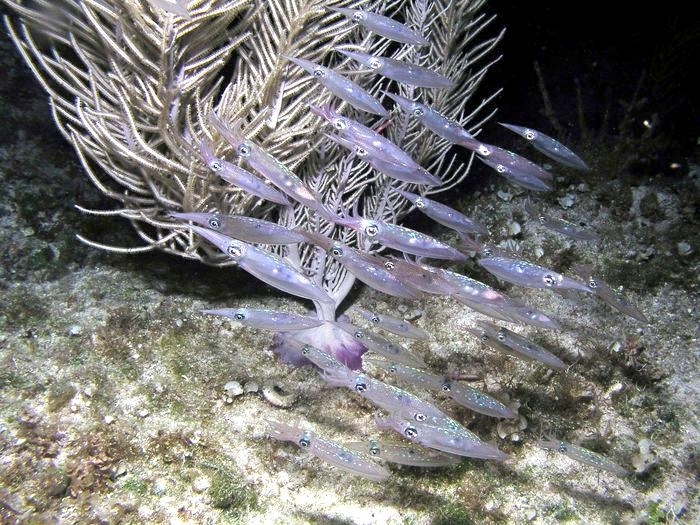 They are most abundant over the continental shelf from 50-200 meters. 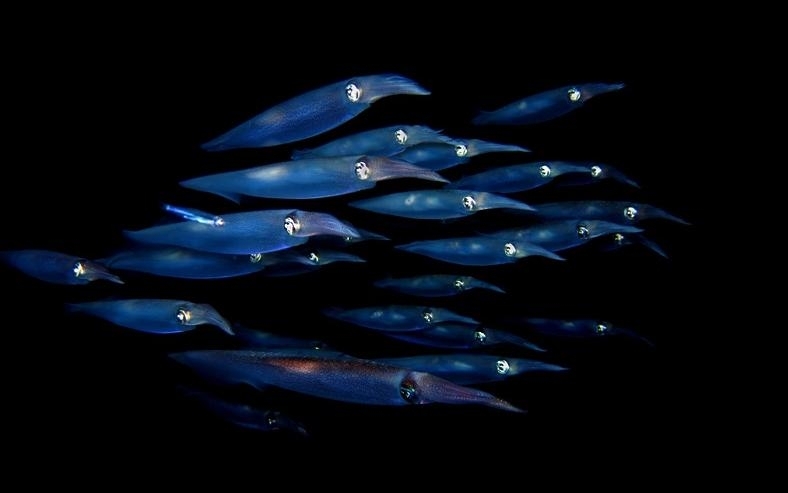 They are schooling animals that tend to aggregate near the sea bed during the day and disperse throughout the water column at night. 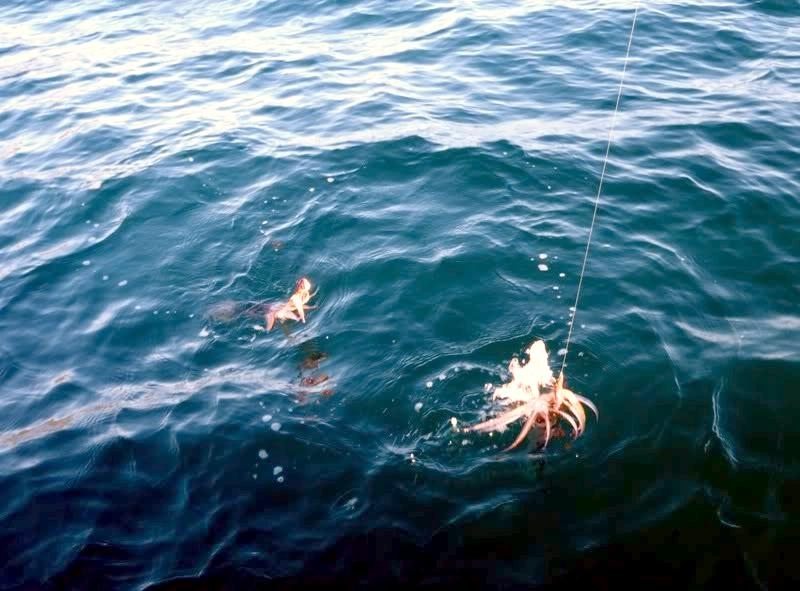 Catch rates usually decrease at the surface during the full moon period. 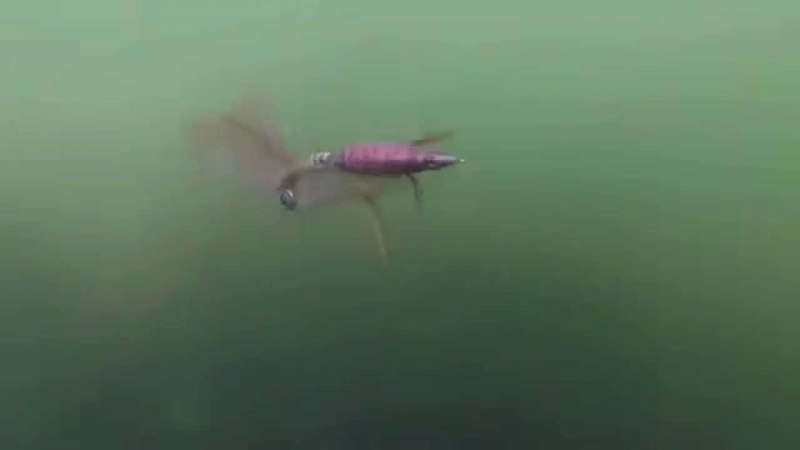 Spawning occurs in all months. 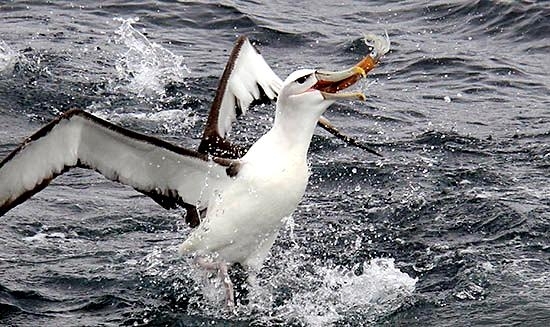 They are relatively short lived, probably reaching a maximum age of only 12 months. 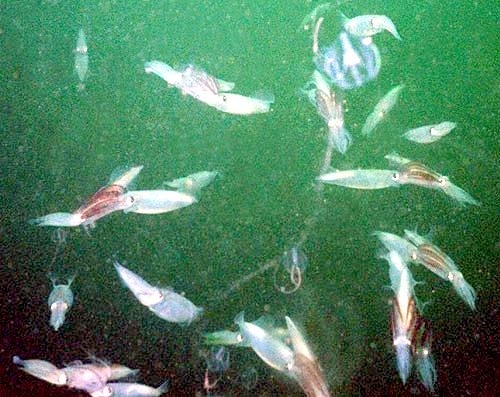 Arrow Squid feed mainly at night, eating pelagic crustaceans, fish and squid. 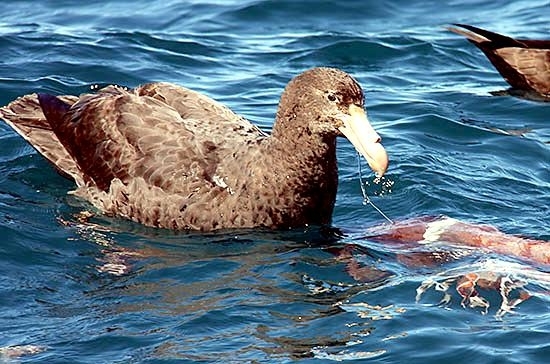 Cannibalism is common in larger individuals but their prey is normally less than half the size of the predator. 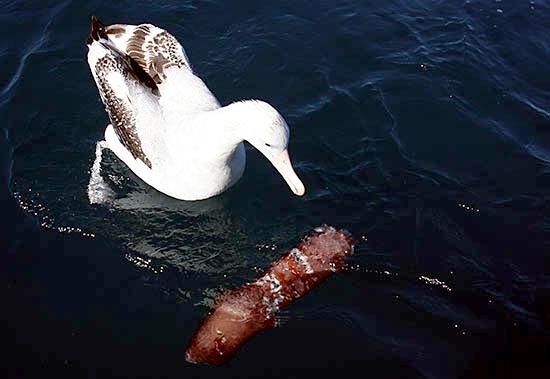 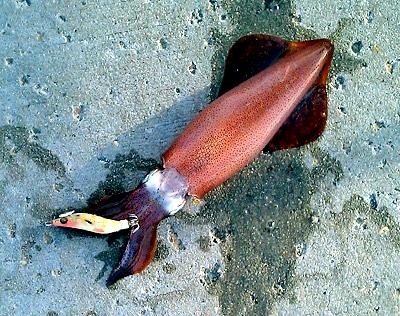 Arrow Squid are eaten by a variety of fish including a wide variety of sharks. 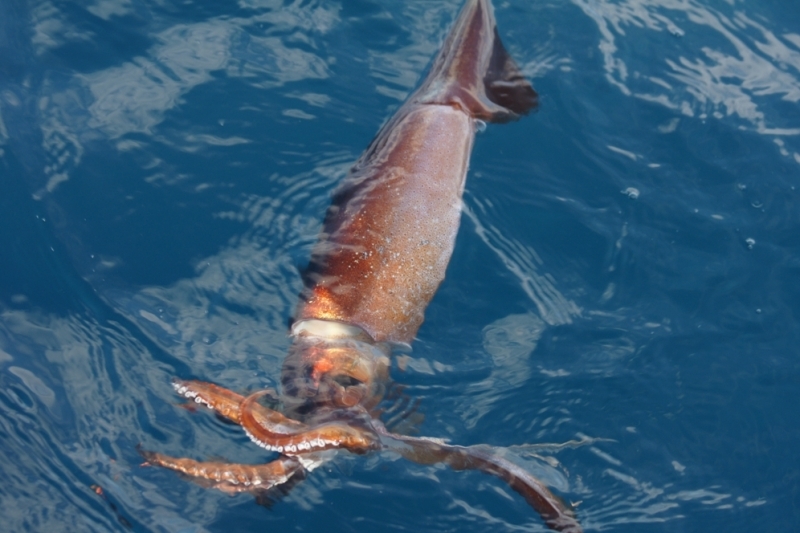 Arrow Squid are specialists in the open sea. 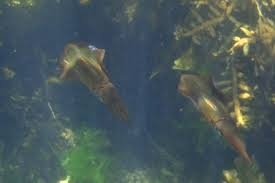 Slick, speedy and with torpedo-shaped bodies, they rocket through the water by squirting water through their siphons. 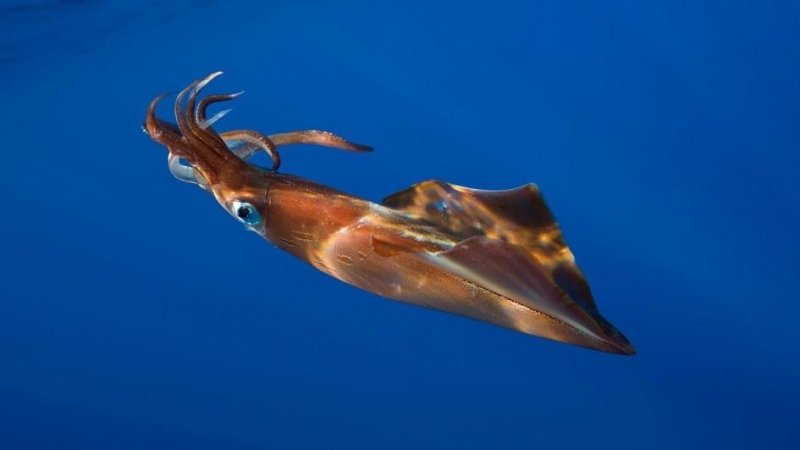 Fins along their sides act like the wings of jets, steadying them as they go. 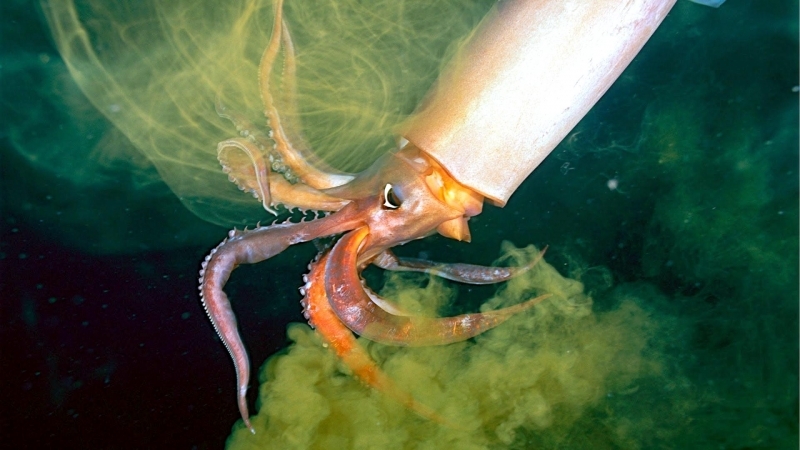 Arrow Squid have 8 arms, but they also have 2 longer appendages called tentacles, specialized for capturing prey in the open ocean. 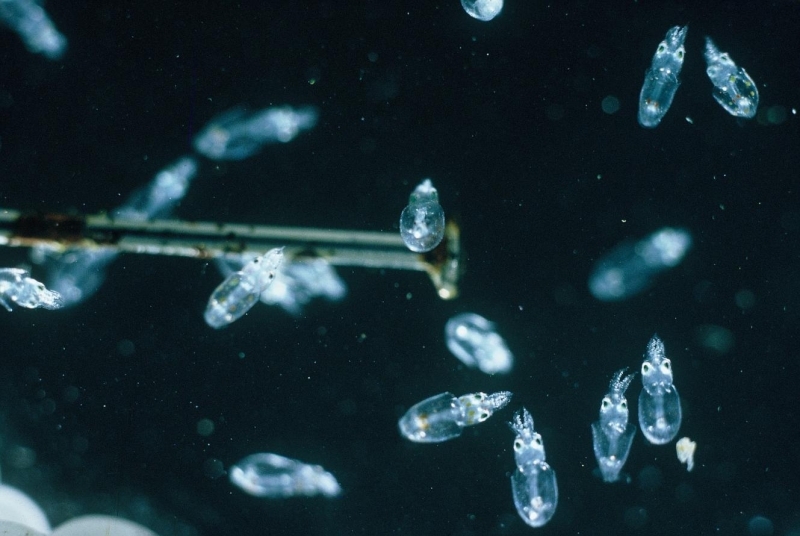 Individuals in all maturity stages are encountered throughout the year, but there is at least 1 spawning season from February to March when large aggregations are formed. 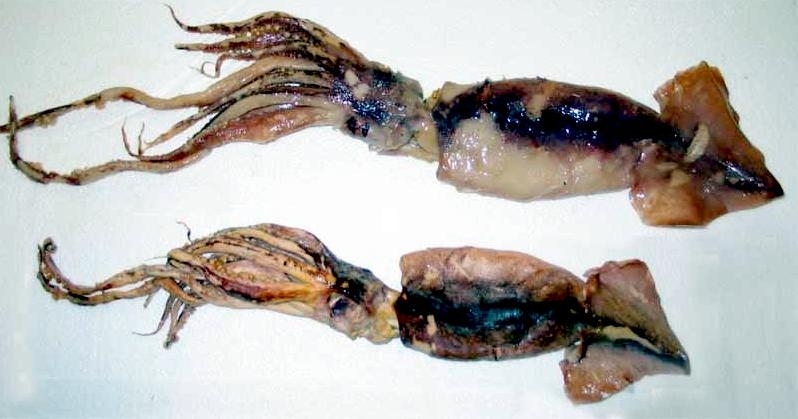 Interestingly, abundance of Arrow Squid in the surface waters of the open ocean is thought to correlate with the lunar cycle, in full moon nights the Arrow Squid tends to remain in deeper waters.